The Peruvian Ministry of Defence has awarded a USD$67 million contract to General Dynamics Land Systems-Canada for 32 Light Armoured Vehicles (LAVs) for the Peruvian Marines. The contract was signed through the Canadian Commercial Corporation, a Crown corporation of the Government of Canada. Vehicles provided under this contract will be personnel carrier variants of the LAV II family of vehicles with amphibious capability. Included in the contract is a complete logistics support package. Deliveries will commence by mid-2015. 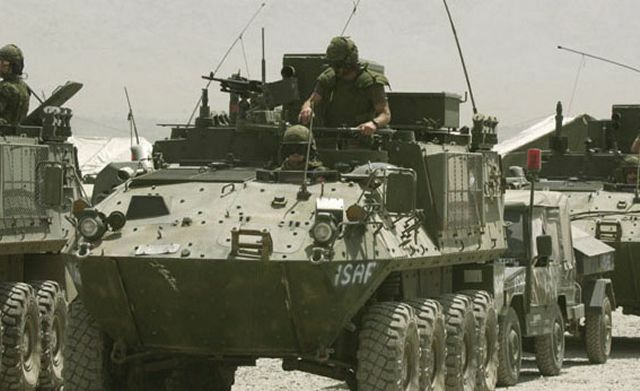 Danny Deep, vice-president of General Dynamics Land Systems-Canada, said, "We are proud to have been selected by the Peruvian Marines to meet their armoured vehicle requirement and look forward to establishing a long-term relationship with this very important customer."